A summer essential! Fill this retro-inspired plastic water bottle with your favorite beverage and hit the beach, pool or lake. 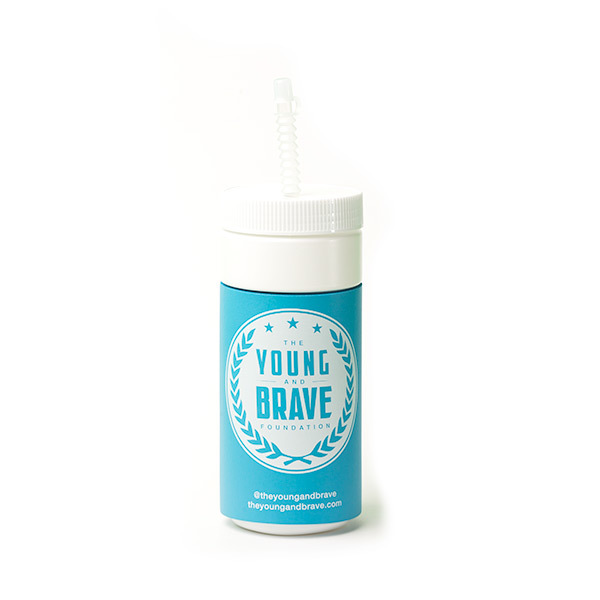 The neon blue insulated foam sleeve features the Young Brave logo. Holds up to 32 fl oz beverage – with a convenient locking screw-top and straw. BPA free.